ATLANTA (AP) -- Target says customers' encrypted PIN data was removed during the massive data breach that occurred earlier this month. Previously Target had said that encrypted data was stolen but stopped short of identifying it as PIN numbers. But the company issued a statement Friday saying that additional forensic work has shown that encrypted PIN data was removed along with customers' names and card numbers. A PIN number is the personal identification code used to make secure transactions on a credit or debit card. Data connected to about 40 million credit and debit cards used at Target were stolen between Nov. 27 and Dec. 15. Security experts say it's the second-largest theft of card accounts in U.S. history, surpassed only by a scam that began in 2005 involving retailer TJX Cos. In addition to the encrypted PIN numbers, the stolen data from Target included customer names, credit and debit card numbers, card expiration dates and the embedded code on the magnetic strip on back of the card. "We remain confident that PIN numbers are safe and secure," said spokeswoman Molly Snyder in an emailed statement. "The PIN information was fully encrypted at the keypad, remained encrypted within our system, and remained encrypted when it was removed from our systems." 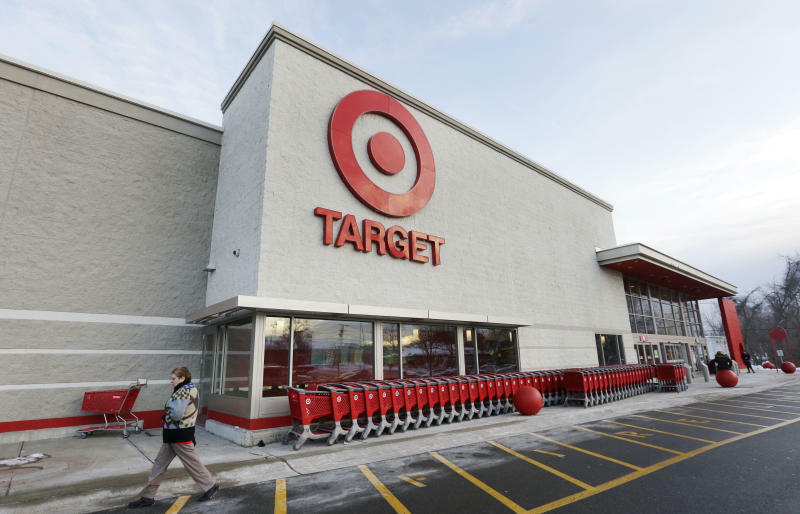 Minneapolis-based Target said it is still in the early stages of investigating the breach. It has been working with the Secret Service and the Department of Justice.